Prepare yourself for a black and white story told in vintage color! This is the perfect, comprehensive introduction of the entire NS Heritage Fleet. 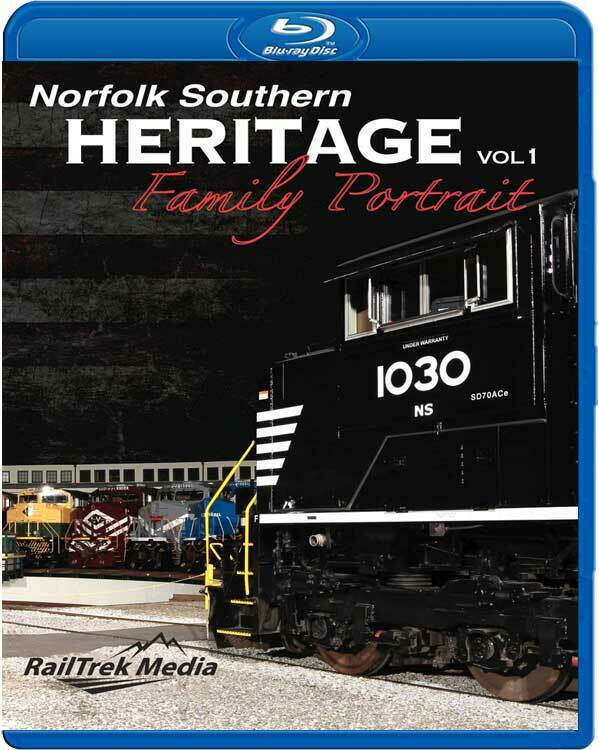 Covering the events of the NS Family Portrait held at the North Carolina Transportation Museum in 2012, we introduce each heritage unit including its history, and maps of current trackage. This is a story of power and pride � the power being the 20 NS Heritage Locomotives and the pride being the men and women of railroading they represent. 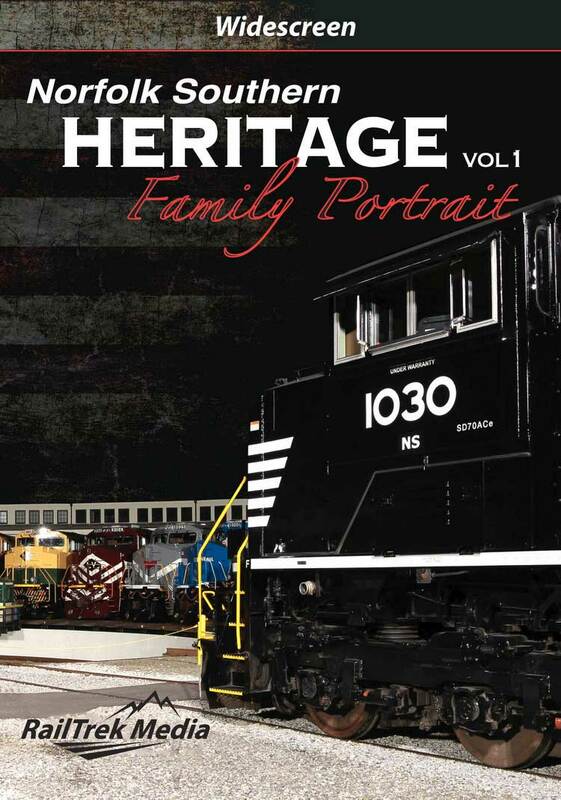 To celebrate the company's 30th anniversary, Norfolk Southern, in cooperation with the North Carolina Transportation Museum, gathered all 20 heritage locomotives for their Family Portrait. Held on July 3rd and 4th, 2012 this event celebrated a country's birthday and a company's anniversary that helped build it. Never before has the railfan community witnessed such a spectacular display of corporate pride. RailTrek Media was on hand on July 3rd to capture the events in Spencer from the presentations on the turntable, heritage unit parades, and night shoot. We introduce each heritage unit, by family, and review the unit's paint scheme, history, and current trackage. Maps are included for each unit depicting the fallen flag's trackage operated in the current NS System. Also included is footage of the North Carolina Transportation Museum and their vintage locomotives posing with the heritage fleet. This is the perfect introduction of the entire NS Heritage Fleet. A history lesson that is far from being told in black and white, so sit back and enjoy the color. Live Stock Status: IN STOCK! Award Value: 111 Points Earn points for free DVDs. Signup free. DrNickRiviera995 (Eastern PA) on 2015-03-02 12:14:55. We have verified that this reviewer has purchased this item from Train Video Depot because this reviewer is a member of our loyalty program and was signed in when they purchased the item and when they left the review. Really good video, great HD quality and informative maps and background about each railroad. Only thing I didn't care for was all the background music, wish there was at least an option to turn it off. Would kids enjoy this? Maybe.